Filled with hundreds of lush, full-color photographs, 150 Best Minimalist Interior Ideas profiles beautiful minimalist rooms around the globe and presents tips, tricks, and techniques revealing how to create your own gorgeous, sophisticated interiors. One of the most popular contemporary interior design trends, minimalism highlights the essence of a room, stressing clean lines, clutter-free spaces, and a limited color palette. 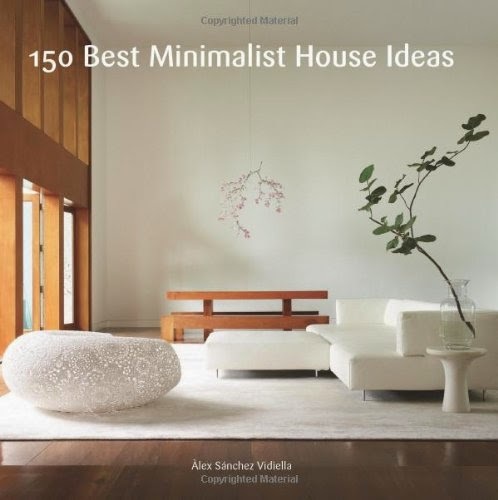 In 150 Best Minimalist Interior Ideas, photographs and floor plans of minimalist homes around the world are featured. The images are of stunning bedrooms, living rooms, dining rooms, kitchens, and bathrooms; and insightful text complements them to reveal why the minimalist rooms are so eye-catching, cathartic, and desirable. The text includes a wealth of both big picture and more focused ideas. It covers subjects such as walls (if and when to use them), doors, and partitions, flooring, lighting, furniture, and staircases, and explores color, patterns, materials, and texture. The homes featured in this extraordinary volume were developed by distinguished international designers at the forefront of the minimalist movement. The result is a guide that offers both inspiration and how-to advice for creating maximum beauty using minimal elements.